Someday we will see the error of our ways! The fact of the matter is that unless we become more aware of our changing environment, we cannot truly achieve balance within this natural world of ours. Water for example is good for a whole variety of different things; from drinking, to bathing, to public fountains – water is all around us! And unless we make it our job to preserve our natural water supplies and do everything that is in our power to prevent the endless depletion of our most valuable recourse, we will be facing a global catastrophe the likes of which are yet to be seen by 21st century people. It is quite terrible indeed! Where Is The Water Going? If there is so much water in our world; the oceans, the seas, the rivers etc, where is all that water going? Well, water is not something that just packs up and leaves, no! Water simply changes its shape and form. When the Sun's mighty rays illuminate our otherwise dark little planet, the chemical reaction which results from this heats up the water; making it turn from a liquid into a more gaseous state. But that is not what I mean by where is the water going. Water is actually being wasted because of outdated irrigation technologies and human ignorance. When crops are being watered, often they are watered incorrectly – making much of the water that did not make it to the plant disappear forever! Man is also responsible for the disappearing water. Many American corporations for example have interests in privatizing public water supplies in foreign countries. You can actually call that preservation, for it prevents the natives from purchasing said water, due to extremely heightened bills that no one could really afford. How Can We Get It Back? The truth of it all is that we have a lot of drinkable water, safely stashed away on the North and South poles. This water is very important and it is and it in fact a compound problem that we are losing more and more drinkable water buy the minute. Global warming is responsible for melting the polar ice caps – mixing the good fresh water in with the salty one. Water is also naturally occurring in nature in the form of underground rivers which are full of fresh, clean water. The only problem lies of finding these 'hot spots' and exploiting them the right way. Advances in technology or rather the implementation of already existing technologies will alleviate the consumption of water for agricultural purposes quite a lot! The famous 'drip' system uses very little water – making sure that each drop is used accordingly with little to no waste what so ever! Considering all this it is safe to say that we can even invest in big closed, vertical green houses that can support large quantities of vegetable production while utilizing minimal amounts of water. The sole key to conserving water is being mindful of almost every drop of water you use! Don't spend countless hours in the shower, but rather finish up quickly and be mindful that you are wasting precious water if you stay in the shower for too long. Washing the dishes can be done with a dishwasher, which too saves a lot of water! Author Bio: Connie loves to write about eco topics. She works as a cleaner at EndOfTenancyCleanersLondon and that is why she is so passionate about green living. During the recent years, eco friendly lifestyle becomes more and more popular. In terms of cleaning, for instance, people find a lot of different alternatives to the common cleaning detergents. Recycling, reducing the use of plastic bags and the waste of water and electricity in your home. Today there are many ways to show your concern about nature and the resources of our planet. Recently, eco style gets into the home decorating and interior. Natural materials, harmless paints, hand made decorations and natural colors. All these are a great solution if you want to refresh your old apartment. The toxic ingredients in the other materials can be quite dangerous, especially if you have a child. The same is the situation with the traditional paints and varnishes, which can be a very serious problem, since most of them are commonly associated with chronic lung diseases and disorders of the immune system. So let nature get into your home! Such furniture fill your home with a warm and romantic atmosphere. 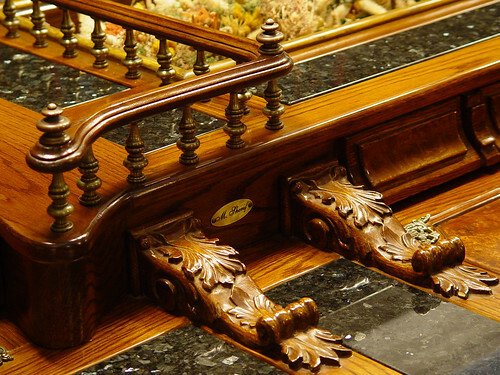 The most common materials are oak, walnut, mahogany, cherry or other deciduous tree species. Exquisitely crafted, this furniture can turn your home into one of these luxurious, retro style houses that you see on the front pages of the home interior magazines. In this case, however, you will need to match the rest of your furniture with their classic line. Another popular trend is to keep the raw nature of the tree. Rough handling and simple forms – this is the real charm of rural life and the manual production. Such furniture can be taken directly from the forest and if you are more creative, it can be a really affordable solution. This definition includes rattan, bamboo, coconut wood, leaves of banana palms. This type of furniture brings the spirit of distant lands and is significantly less expensive than the massive one. Unlike the other materials, these ones tend to resume very quickly. As for the polishing and treatment - it is simple and does not require the use of any expensive, harmful to the environment technologies. Exotic materials are suitable for all kinds of furniture and add special lightness to the overall interior of your home. 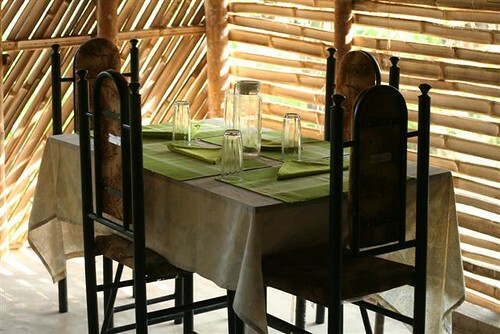 Also, accessories from coconut wood and palm leaves will be a great addition to the unique atmosphere of your eco home. 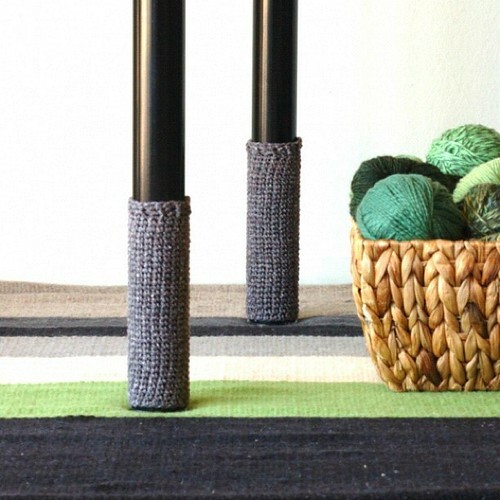 Natural fibers dominate in the eco friendly interior. The rugs are made of handspun wool and the curtains and the damasks are made of cotton and linen. Natural colors are, of course, a binding rule. They refer to the severity of the natural materials and also require minimal processing. Green hues are among the most popular ones, since they are an obvious reference to a close connection with nature. 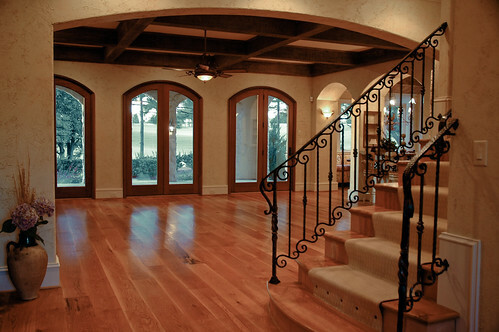 Although this type of decoration sharply contrasts with the warmth of wood, iron is another very common trend in the eco friendly interior design. This material has proven itself as a very resistant and stylish. It has been used for centuries and its beautiful forms bring the romantic atmosphere of pastoral life into your home. Today the world's market offers us a great variety of solutions for our home. Most of us have got used to buying expensive furniture, which in most cases turns out to be quite unnecessary and even nonfunctional. But if you choose to turn your house into a romantic, eco friendly home, you can be sure of the high quality of your furniture. It is perhaps the most stylish decision for the modern household. Author Bio: Connie Jameson is passionate freelancer blogger. She always tries to help the earth and to be eco friendly. Her current work at SW London Cleaners makes her really happy because she helps the nature and the people. Organic way of living has become widely popular in the past years. More and more people decide to try organic living and fall in love with it and it's great positive effects on health. There are many ways to introduce organic style to your life, starting with organic food, or organic gardening. And why not organic housekeeping? There are many interesting methods you can apply at home and make use of items you would usually throw away and not even consider using for anything. Such might be banana peels and rice. There are great ways you can apply them in your daily cleaning process and enjoy great results in an extremely healthy way. Here are some great uses of banana and rice in housekeeping that you might have never heard of. It might come as a surprise to some people, but bananas have a very effective use in housekeeping. Banana peels have features that allow them to effectively clean in an ecologically-friendly manner. Using bananas in cleaning is a brilliant way to eat healthily and green-clean your house. Here are some housekeeping activities bananas can be used for, except for eating. Bananas can be used to polish leather furniture. Rub the inner side of a banana peel on leather surfaces and then wipe with a slightly damp cloth. Your furniture will look shiny and clean. You can also use the inner side of a banana peel to polish silver. Do the same as with the furniture – rub the peel, wipe with a cloth and make your silver shine. This might not be a hundred per cent effective, therefore it's better to be left to professionals like EndOfTenancyCleaners, but studies have indeed shown that dried and made into powder banana peels can absorb toxins in polluted water. Super effective or not that much, we are not quite certain yet, but you don't risk anything if you try. This is another interesting use of banana peels. The moisture in the inner side of a banana peel has the effect of a natural moisturiser for plants. You can clean the dusty leaves of your plants and freshen them up. At the same time, the nice scent of the banana will remain in your home and leave a nice exotic fragrance in the room. Another great way to apply environmentally-friendly products to your housekeeping process is using rice in cleaning. Rice is not only good food, it's also an effective cleaning tool that can come pretty handy around the house. Vases make a beautiful decoration in the house. There are plenty of different vase designs and shapes that bring a nice touch to your home. But how about dirty vases? Some special curves can be pretty hard to clean. That's where rice comes to help. Put a bit of rice at the bottom of the vase, pour hot water inside and let it sit for a couple of minutes. This will give the water the time to break into the dirt and loosen it. Then stir for a few more minutes. The rice grains will scrub the dirt and absorb it. Rinse the vase with water and here you have a perfectly clean vase. Accidentally wetting an electronic device can be a true disaster. You can use rice to dry electronics. Put the wet device into a bowl of rice and let is sit there for an hour or so. The rice will absorb some part of the moisture. Nowadays more and more people and institutions become really concerned about the environmental issues the humanity faces up every day. A lot of organizations were established in order to make people understand the importance of preserving the natural beauty and resources. The fashion industry has always been blamed for being careless towards the nature. A lot of campaigns against the animal abuse and the fur used for making over expensive clothes. Luckily a great number of world famous designers took the standpoint of the society into consideration and slowly but surely we see the first signs of the eco - friendly also known as a sustainable fashion worldwide. The term organic fashion itself is mainly associated with materials such as cotton, wool, silk etc. Although these materials, at its initial condition, are harmless, their usage in the fashion industry is a subject to fierce discussions. We are constantly encouraged and advised to keep the nature clean, to eat organic food and use non – toxic cleaning detergents but the reality is that even if we buy a piece of clothing made of organic we fool ourselves. The cotton and the other eco – friendly materials go through a thorough process where bleach and other chemicals are used, which makes the eco fashion tendencies useless. Let's take the most popular material – cotton as an example. It is thought to be the most popular clothing material but how can it be eco- friendly when there's a soil erosion, the usage of water should be reduced and the soil is treated with different pesticides and chemicals whose intention, by all means, is not to help the cotton grow as an ecologically clean product. And despite the fact that the sustainable fashion has it's opponents, more and more Hollywood celebrities become fans of the eco clothing and obviously they are the main reason for its popularity lately. Their dedicated fans follow every action of their idol and if he is wearing a cotton shirt, made of organic cotton that's a fair reason for the fans to buy the same. This method really works and the world designers see perspective in it. The attention of the international press has also been attracted towards the eco- friendly fashion benefits. In other words every newspaper and environmentally concerned website would recommend making a clearance of your wardrobe, stop wearing clothes made of a material different than cotton, wool, silk and even bamboo and buy stuff that doesn't pose a danger to the biodiversity. You probably know that the organic fashion items are a way more expensive but if they help us to preserve the environment clean, then the amount of money pays off. You can easily find on – line stores where the clothes are believed to be eco – friendly and the fact that designers, whose names have always been associated with luxury and stylish dresses take part in such a tremendous initiative such as making the eco- fashion clothes popular and desirable items is more or less convincing reason that the organic fashion is somehow better than, say it, the nylon. Even if you can't afford to have all your clothes made of natural materials you can at least be mindful about what and how you recycle. Every attempt to keep the nature clean is worthy of trying. Author Bio: Connie Jameson is passionate blogger who loves to write about fashion, beauty, health, cleaning and many other topics. She currently works as a manager of London carpet cleaners and she has a lot of knowledge and creative ideas to share. Nowadays the technology is advancing with a tremendous speed. If you turn around you can see different more or less useful gadgets, powerful portable computers, smartphones and all kinds of things our ancestors couldn't even imagine. However, the smarter our appliances are, the more fragile they become. That statement particularly applies to the computers and TV screens at home. You can't just grab some paper towel or a sponge and wipe the screen down. On the contrary-they require special attention. You can either buy a special cleaning detergent or continue reading and make your screen shinier than ever in few easy to follow steps. You can prepare a homemade cleaner just by using equal parts of isopropyl alcohol and distilled water. Always remember that you have to spray on a cotton towel and never directly on the screen. As we have mentioned above paper towels are totally inappropriate for cleaning a screen unless you want to make scratches. Before you start the procedure you'd better turn your devise off so you can easily see the fingerprints and spots on the screen. Using a soft rug (for example a microfiber one) is the best solution but don't put too much pressure while cleaning as it might result in pixels damage. Don't close the lid before the monitor is completely dry otherwise it will leave marks. If you are not willing to use the homemade cleaner, the best thing you can do is to buy the so popular canned air. It is thought to be the most common, powerful and harmless method to get your screen spotless. Apart from performing miracles with your screen, keyboard and the computer in general, the canned air can also be used in the kitchen for dislodging food particles and even for removing the pet hair, stuck deep into the sofa. It is a good idea to buy one of those cleaning kits as well. You will find all the necessary cloths and sprays for the cleaning of your TV or computer gathered together. The fact that they are proven and you know that it actually works is reason enough to trust the commercials and get one although according to the saying “All that glitters is not gold”. Many people are likely to clean their monitor exactly the same way they clean a mirror. Wrong! The LCD screens are so delicate that even a rougher cleaning cloth can cause damage. You can use the vinegar, ammonia and the baking soda to clean almost any angle of your home but under no circumstances should you use them to clean the screen as they contain some really harsh chemicals. Apart from the smartphones the portable computer is the other electronic devise we use every day so it should look clean and neat. Performing those steps means that you will enjoy your device for the years to come. Connie Jameson owns a company that provides London domestic cleaning and uses only eco- friendly and non-toxic detergents. Although dry cleaning is considered as one of the most effective alternatives to the traditional cleaning with chemicals, it appears that it is not as eco-friendly as you may think. Unfortunately it is definitely not the best choice for the environment. One of the primary solvents used by more than 80% of dry cleaners is a chemical called tetrachloroethene (you may know it as perchloroethylene or perc). This name may not ring any bells, but the truth is that the chemical has a huge number of bad effects, it is toxic and may lead to plenty of health problems. However, it is a great and highly effective cleaning detergent, which, of course, is the main reason for which it is so commonly used. In this article we are going to give you some further information on the topic. It is a colourless, heavy, non-flammable liquid. As we already said, it is a primary solvent, widely used in the industrial and commercial dry cleaning. In 1930's, when the product was first introduced to the dry cleaning industry, it replaced almost all the solvents, used during that time. It is moderately toxic and it is not biodegradable. The people, who are constantly exposed on the high levels of tetrachloroethylene in the air are those using this chemical at their workplace. The first one includes people, working in facilities, where the chemical is either produced or used. People, working in the dry cleaning industry are extremely vulnerable. In this train of thought, people, working with perc must be provided with an appropriate protective equipment. Also, closed areas must be constantly ventilated. Environmental releases. Although tetrachloroethylene is not flammable, it still releases some harmful gases and chemicals, which are dangerous for the environment and our health. That is why, in a case of a spill, ventilation and respiratory protection are the most important precautions which will prevent further health problems. Consumers' exposure. In fact this group of people is not so hazardous. The main risk for the average consumer is to breath the the emissions in the air. Even people, using the services of the dry cleaning industry, are not at stake. Fortunately, the amounts of this gas in the air are significantly small and there are no serious health risks. As we already mentioned, the product is not highly toxic, but still it can cause some serious health problems. Skin contact with perc may lead to redness and temporary irritation. If repeated, it can cause pain, swelling and tissue damage. Eye contact is also harmful, since it can lead to irritation and pain. Fortunately, there is nothing to worry about. Professional cleaners remove the perc from your clothes and it is very unlikely for you to understand whether they have used this chemical or not. Author Bio: Connie Jameson choose the green lifestyle for her and her family. That's why she works at a company where they use only eco - friendly cleaning that are completely save for the environment. How eco-friendly are the cleaning products at the market? Cleaning is one of the most important things you can do with your time and I'm surprised it's not actually the nation's favorite pastime. Forget talking about politics, sports and watching TV (or whatever people waste their time with these days) – cleaning has a much bigger recreational value than all of them put together. All you have to do in order to see that is stop looking at it as a chore and realize it's a hobby, just like playing golf, collecting post cards or recreating Minas Tirith with legos. As such, it has to be respected. I hope people finally realize this some day. But I'm not here to talk about the importance and entertainment value of cleaning – they are self-evident. I am here to talk about the products that make carrying out the process of sanitation and disinfection possible – cleaning detergents. Detergents are one of the biggest achievements of mankind in the last several tens of years. However, even though we've advanced a lot in the last few decades, one might say that we are slowly falling a victim to our own success. You see, cleaning products are always good, but some cleaning products are better than others. Some of them are eco-friendly and others – not so much. But how eco-friendly are quality domestic cleaners products on the market? Most commercial grade cleaning products contain various chemicals that when mixed can be dangerous and even though all of them are good for cleaning purposes, not all of them are a healthy and environmentally friendly. Some of them transpire irritating fumes and you're sensitive enough, you can feel anything from minor discomfort to a burning feeling in your lungs. That's why it's a bad idea to use them if you are sensitive. Some of them can be really dangerous when mixed, so you should never do that because you never know what kinds of chemicals you can't pronounce those products contain (unless you're a chemist – then not only will you be able to pronounce them, but you will also know what they mean, what they do and how they would react with each other). I've never liked commercial cleaning products, to be honest. Not only can they be dangerous and harmful for the environment (although admittedly good for cleaning), I've always preferred making my own cleaning materials since I feel it's more personal this way and I always know what they contain. Like I said, commercial cleaning products can be dangerous. If you need any proof, you should look no further than the fact that there are products being marketed as “eco-friendly” and selling really well for that reason. People care about the environment and nature and are ready to do everything in order to make sure their hobby isn't causing any harm. Eco-friendly cleaning products are what the name implies – ecologically and environmentally friendly. Most of them are biodegradable, which means that they cause no harm and can be disintegrated by natural means. Eco-friendly cleaning products are definitely the way to if you care about the environment. The truth is that if a product doesn't say it's environmentally friendly, it's because it isn't, which on the other hand means it can be dangerous. Always go for the green and natural and you can't go wrong. Household odors can be a rather unpleasant phenomenon but lucky for us there are easy ways to get rid of them even if we refuse to employ commercially provided chemicals and products. Most of the solutions you will be able to make yourself, and they will be located in your kitchen at this moment. One of the greatest weapons you can use against household odors of many kinds is baking soda. Its effectiveness and versatility are undeniable. Make a simple little solution of baking soda and water. You can use it to remove some odors from your carpet and even upholstery furniture, but you have to use very little, because otherwise you can damage them (check the labels first and don't do anything if they are dry clean only). You can also pour some soda down the drain and complement it with some warm water. The chemical reaction will take care of the rest. You can also use the solution for the garbage bin. White vinegar is the green cleaner's strongest ally. You can use it for everything – from an all purpose cleaner, to window cleaner, to odor remover. Baking soda alone won't be enough to get rid of the tobacco smell in your living room, but placing a bowl of white vinegar and warm water sit there for the night will be able to help. That's one of the few things that help against the repulsive smell of tobacco. Also, you might want to stop this harmful habit altogether – that's the best solution to deal with the odor (or at least go and smoke outside). You can also use it in your microwave to both clean and deodorize it. It's really effective. Now this one might seem a bit unconventional but it's really effective. The kitchen usually smells just like the meal you've cooked and as time passes, the different odors start to mix and it's not really something you want to expose your nose to. Having mint or lavender in a bowl of water and then throwing it on the stove (please, don't throw it literally) and then leaving it there until it boils will fill your kitchen with the scent of either one. This may sound like a pretty obvious solution for battling household odors but it's one of the most effective ones you can possibly employ. Spread more live plants around your home and while making sure that you don't have many sources of unpleasant odors, you will be able to easily contain the situation within normal perimeters. There are several ways in which citrus peals can be used, mostly in relation to the garbage can. After a nice meal, there are usually leftovers lying around and after a day or two, you throw them away, but since you can't take the trash out because it's not quite full yet. Throwing a few citrus peals in there should be able to mitigate the effects of bad odors. This is one of the more high-tech solutions. Some areas with high humidity concentrations, such as basements are the perfect environment in which a wide variety of bacteria and germs can thrive. That's why usually when you go to the basement it smells bad – because of the whole eco-system located there. One easy (although not as cheap) way to deal with the problem is purchasing a dehumidifier. By lowering the humidity in the area, it will change the conditions in the environment and will reduce the number of microorganisms located there. Author Bio: Connie Jameson loves to write about cleaning and hygiene. She currently works a part time job for a local oven cleaners and she loves her job because she has enough time for herself. Since the environment can't take care of itself, and when you think about, we are the ones who have something to lose in the end (because objectively neither the environment, nor the planet care too much if we are here or not), I think it might be a nice suggestion to employ some not-so-difficult tactics to make things a little bet better. Green cleaning is by far the most useless attempt to save or preserve the delicate balance of nature, but it's a good start for building up habits and introducing innovative concepts that might have a more serious impact on the matter. If at one point in time everybody starts to sanitize in a manner inspired by the “green” spectrum of cleaning, then we have a much better chance to take things to the next logical step – alternative fuels, reducing pollution and all those nice things eco-activists like to talk about. Taking this into consideration helps you see things in a whole new perspective – that even the smallest gesture can have a big impact in the end. So if you think that it doesn't matter if you use commercial cleaning products instead of green ones, imagine the future your children will live in because everybody conceives everything as a “minor constituent” of polluting the planet. If, however, you want to have a clear conscience, then there is much you can do in order to preserve both the environment and your family's wellbeing. White vinegar is almost a universal cleaner, which is good because it's much cheaper than your commercial products, so it saves you money, and also is much “greener” in the sense that it doesn't contain any chemicals you can't even pronounce added for aroma or something. Commercial cleaners might be laced with all sorts of dangerous compounds, which can be dangerous, especially for those with a more delicate skin or more sensitive to various chemicals. If you have allergies, they can be triggered at any moment by fumes caused by the involvement of those substances. All of this can be avoided if you use white vinegar instead. It's a potent cleaner and can be used for floors, windows, wood and almost anything else. Just make a solution of white vinegar and water (depending on the severity of the stain you're trying to clean, it might be up to 50% but in my experience usually 1 to 3 works just fine). Many of your salad dressing ingredients can be successfully used in the cleaning field because that's how diverse functions work. A small amount of olive oil is a perfect way to polish your old wooden furniture without polluting the air with toxic fumes and aggravating chemical agents. You will be surprised how superfluous most of your cleaning detergents actually are and how easily can be substituted with something that goes in your Cesar salad. Another example can be lemon juice and club soda, mixed with water. They can wash off almost any stain. Just be warned that putting too much onto the stain might damage the delicate cloth, but that's pretty much a universal. Natural soaps have major benefits on two levels – one, they are great for the environment (not as great as stopping air pollution for cars and factories, but like I said, it's a good enough start); and two, they are much better for your skin and will not irritate it the moment you put your clothes on after you've washed them. If you don't care too much about the environment, consider this – green cleaning is much cheaper so you can at least save some money. Nowadays many people realize the degrading effects store-bought detergents have on the environment, because it is a serious problem that needs to be dealt with accordingly. If we do not stop polluting mother earth, who knows what will happen; global warming, war, famine etc. No one knows because not once in the history of the human race, have we influenced our habitat this much. And if we do not control our wicked ways, sooner or later we will suffer the consequences of our own ignorance. That is especially true for people who aren't even aware that there is a problem, and that is staring them right in the face. So please, read about eco-friendly housekeeping; educate yourself so we don't tarnish our playpen to the point of no return. Here I have compiled some materials I gathered from my friend who is an expert on green/environmentally sound cleaning and works for house cleaning Finchley. Sodium Bicarbonate – although this name brings close resemblance to another inorganic chemical (sodium hydroxide), it is not nearly as corrosive or as damaging. Sodium bicarbonate, also known as baking soda, is perhaps the most powerful housekeeping detergent that can be found in almost any kitchen drawer. It works wonders on removing saturated dirt/grime as well as keeping bad odors down to a minimum. White Vinegar – works just as well as baking soda. Usually the vinegar is diluted in water to keep acidity levels down as much as possible. For more heavy contamination, pure white vinegar might be employed, depending on the material in question. Lemon Juice – lemon contains an ingredient known as citric acid. Citric acid exhibits stronger acidity compared to white vinegar. It is used for treating deeply saturated filth and grime. Like white vinegar, it is best to dilute the acid in water, unless the situation demands it. Hydrogen Peroxide – considered quite the powerful oxidizer, hydrogen peroxide can be used to clean stains, whiten whites, clean counter-tops and cutting boards etc. It is absolutely safe to handle, with not ill effect on the environment. Rubbing Alcohol – alcohol had been used as an disinfectant for thousands and thousands of years. It is the perfect disinfectant, for it kills up to 99.9% of all common bacteria. It evaporates rather quickly, making it ideal for treating hard-to dry materials. One thing that wastes a lot of Earth's natural resources is the over-production of paper for the household. In fact, nowadays almost every home is accustomed to using paper towels. And there is nothing wrong with that – paper towels are awesome! Or that would be the case if making paper towels didn't involve the systematic chopping-down of trees for cheap commerce. Use a rag or a microfiber towel to soak up spills. Wash and they are as good as new – no killing of trees required. Also, try to use as little water as possible! If you are fond of natural way of living and all commercial products are just not your cup of tea, you probably tend to make your own cleaners at home. Many natural products can help prepare efficient and inexpensive cleaners that are environmentally-friendly and therefore protect your health. Why would you switch to home-made detergents? The reason for this is that commercial detergents contain lots of chemicals such as phenols, sulphates, petroleum distillates and various fragrances (that are made of harmful chemicals). Making your own soap can save you all this and protect your health. Plus, you know for sure what ingredients you put in your DIY soap, whereas you can't be certain what things different companies decided to make their products with. Using natural products can save money. What's more, DIY cleaners are non-harmful and easy to use. If you are wondering how you can make your own laundry detergent at home, you have landed on the right page! Here we will give you the recipe for DIY laundry detergent. Keep reading. The good news is the process of making a laundry detergent is fast and easy. You don't need a lot to start making one right now! Borax and washing soda are very easy to find at local stores. Natural bar soaps are available in every store or even online. You can find them in the organic, beauty and health sections of a store. How to make liquid laundry detergent? №1 Take one bar of soap and grate it with food processor or cheese grater. In a pan, add two quarts of water and the grated soap. Heat the stove gradually, while constantly stirring the mixture. When the soap is dissolved, remove from heat. №2 Fill a bucket with 4.5 gallons of hot water and add one cup of washing soda and one cup of borax. Stir well and wait for he mixture to dissolve completely. Next, add the soap mixture that you left in the pan into the bucket. Stir again. Cover the bucket and let sit overnight. №3 In the morning, shake the mixture and stir once again. Keep stirring until it becomes smooth. After that pour the liquid into containers or jugs. When using the laundry detergent to wash your clothes, pour ½ or 1 cup of the powder per load. How to make powdered laundry detergent? 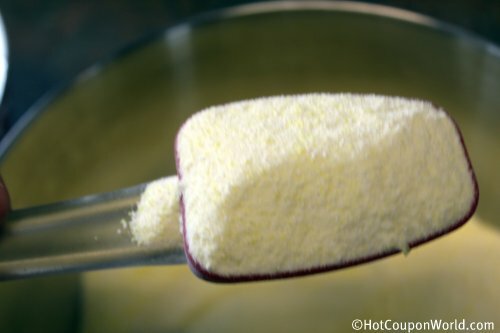 №1 In a food processor, grate one bar of soap until finely ground. Or use cheese grater to obtain the same effect. №2 Next, mix two parts of Borax with two parts of washing soda and one part of the grated soap. If you wish, you may also add a couple of spoons of baking soda. Store in a container. Make sure it is well closed. №3 If you intend to use a larger container, skip the bowl and put all ingredients in the container instead. Shake well. 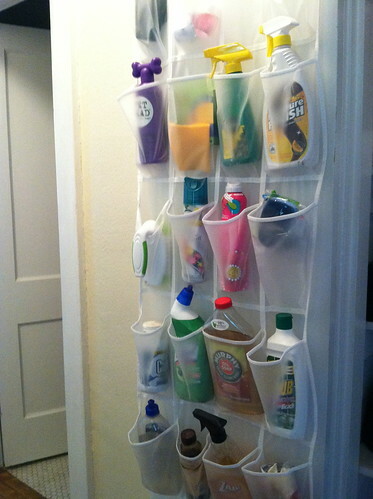 №4 Now you can use the powdered detergent to do the laundry. Use either 1/8 or ¼ of cup per load. There is a variety of soaps you can use to make both liquid and powdered laundry detergents. For example, Dr. Bronner's soaps are a great choice. They are available in a number of natural scents like peppermint, tea tree, almond, lavender and others, plus they are made with organic oils and vegetable soap. If you do some calculations, it turns out that these recipes can save half on the laundry bill. This is enough reason to give home-made laundry detergents a consideration. Author Bio: Connie Jameson recommends the same methods to be used in domestic rug cleaning for green and effective results.